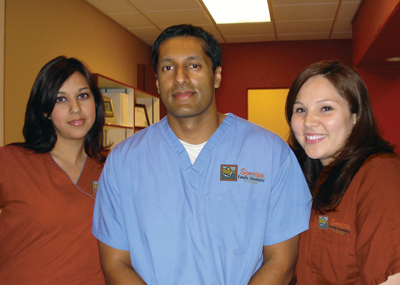 Dr. Jeet Datta was raised in beautiful Austin, Texas. He graduated from the University of Texas at Austin with a BA in Biology and received his dental degree from Baylor College of Dentistry. Dr. Datta is a member of the American Dental Association, Texas Dental Association, Academy of General Dentistry, Dallas County Dental Society, Delta Sigma Delta, National Dental Society, International Academy of Sports Dentistry and the American Academy of Pediatric Dentistry. Dr. Datta has a reputation for being a very gentle dentist who is sensitive to the needs of his patients and truly strives to provide a comfortable and rewarding dental experience for all using the latest technological tools, equipment and supplies in dentistry.